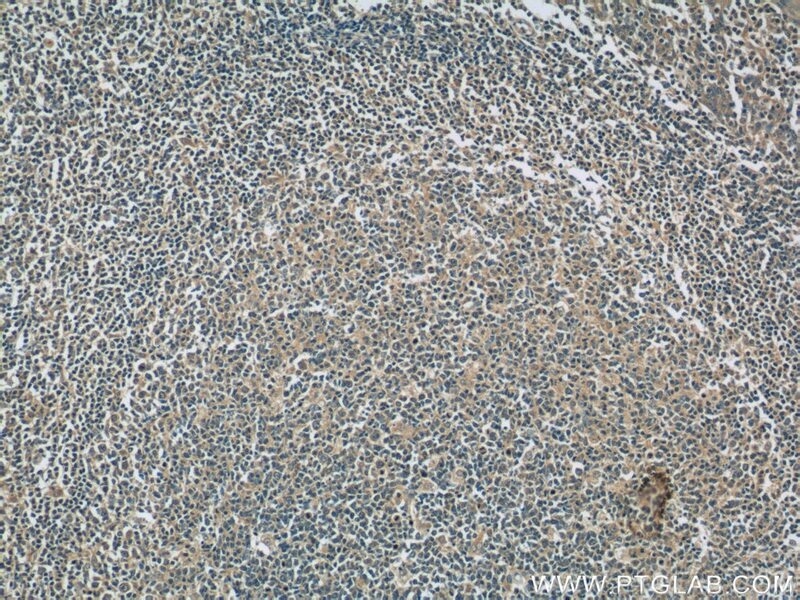 Immunohistochemical analysis of paraffin-embedded human heart tissue slide using 66146-1-Ig( IL-6 antibody at dilution of 1:200 (under 10x lens). 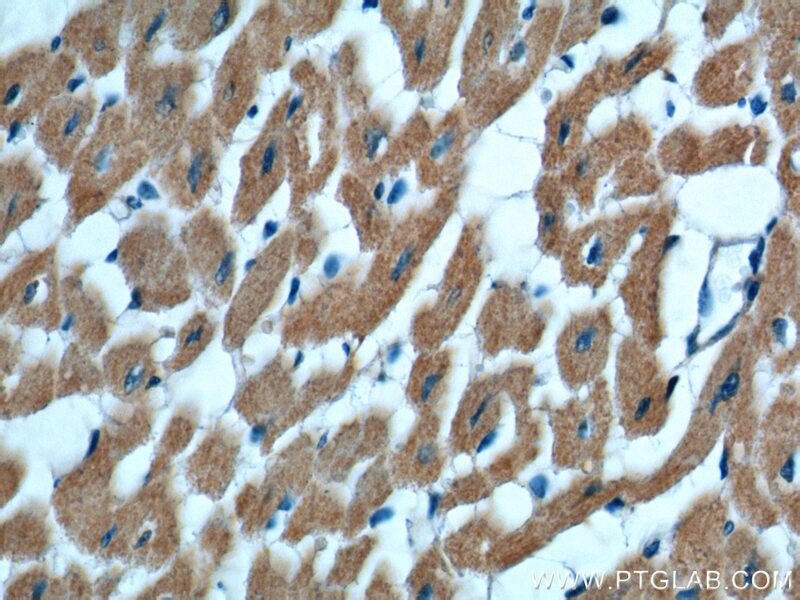 Immunohistochemical analysis of paraffin-embedded human heart tissue slide using 66146-1-Ig( IL-6 antibody at dilution of 1:200 (under 40x lens). 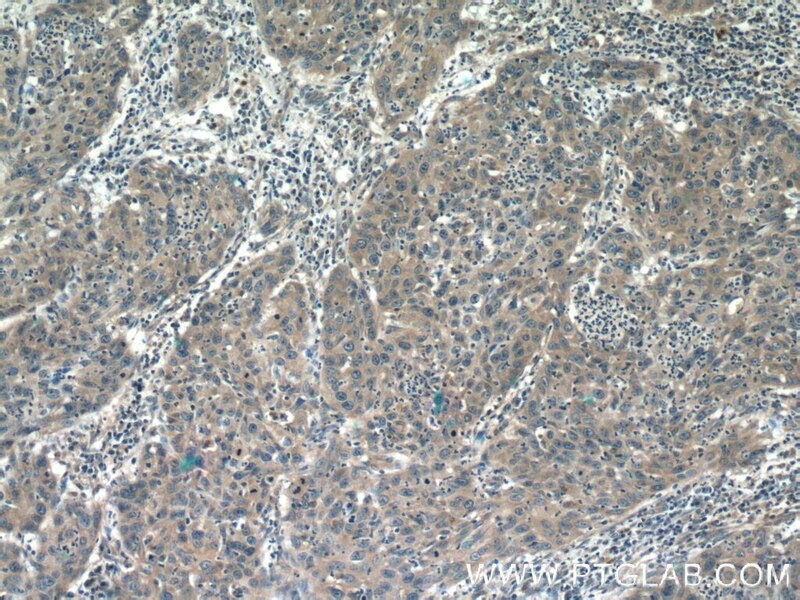 Interleukin-6 (IL-6) is an interleukin that acts as both a pro-inflammatory and anti-inflammatory cytokine. 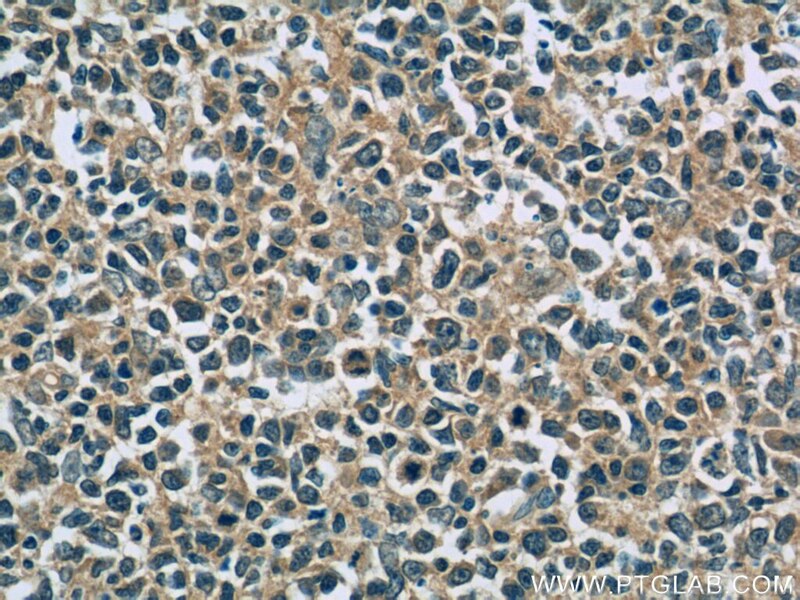 IL-6 protein is secreted by a variety of cell types including T cells and macrophages as phosphorylated and variably glycosylated molecule. IL-6 plays an essential role in the final differentiation of B-cells into Ig-secreting cells involved in lymphocyte and monocyte differentiation. It induces myeloma and plasmacytoma growth and induces nerve cells differentiation Acts on B-cells, T-cells, hepatocytes, hematopoietic progenitor cells and cells of the CNS. 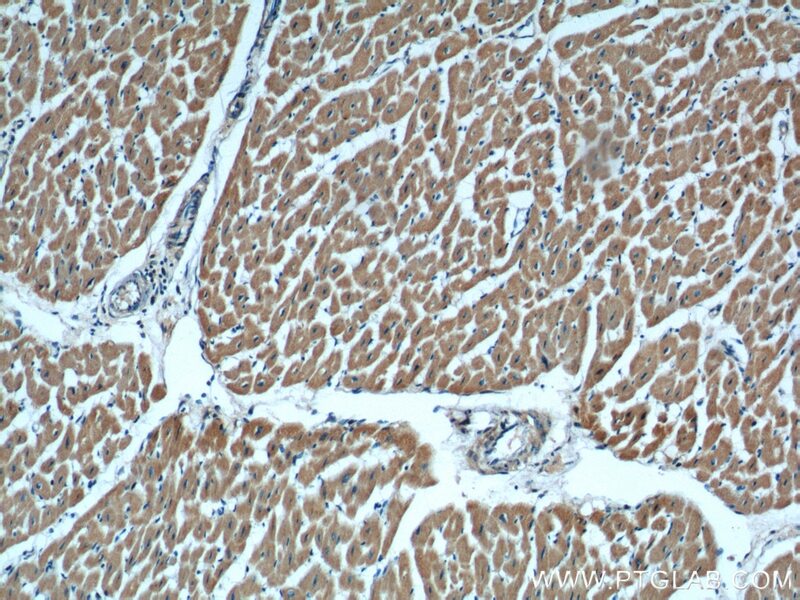 IL-6 is also considered a myokine, a cytokine produced from muscle, and is elevated in response to muscle contraction. IL-6 has been shown to interact with interleukin-6 receptor and glycoprotein 130. Additionally, IL-6 is involved in hematopoiesis, bone metabolism, and cancer progression, and has been defined an essential role in directing transition from innate to acquired immunity. 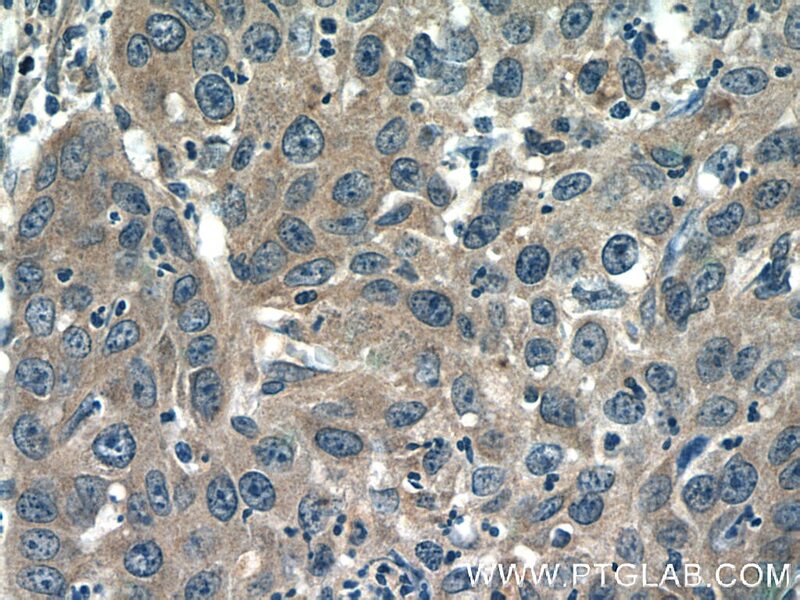 Clinicopathological significance of overexpression of interleukin-6 in colorectal cancer.